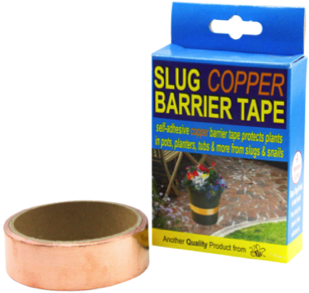 SLUG COPPER BARRIER TAPE is an ideal non-toxic deterrent against slugs and snails. Proven to work by the University of Ilinois this is the leading slug/snail barrier tape that stops them in their tracks, ANY SEASON! Simply apply this self-adhesive and waterproof (just remove the backing tape) copper tape around your POTS, PLANTERS and LETTER BOXES to be protected. Also put it around your FRUIT TREE Trunks to safeguard your fruit. When a slug/snail attempts to cross, a small electrical charge is created naturally by the Copper barrier tape which will repel them. COPPER BARRIER TAPE STOPS SLUGS/SNAILS IN THEIR TRACKS! Copper Barrier Tape is a proven Slug/Snail deterrent that has been used in the garden industry for years. Snail bait and other garden pesticides can affect the nervous system and cause tremor and seizures. 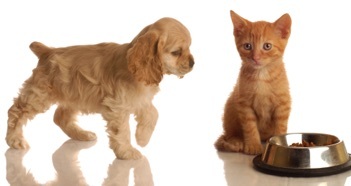 hutches and more to give protection to Pets from Lung Worm-carrying Slugs and Snails. DON’T HARM YOURSELF YOUR FAMILY AND THE ENVIRONMENT WITH SPRAYS AND CHEMICALS!